18-gauge all-welded extra strength construction throughout. 18-gauge steel double wall doors. 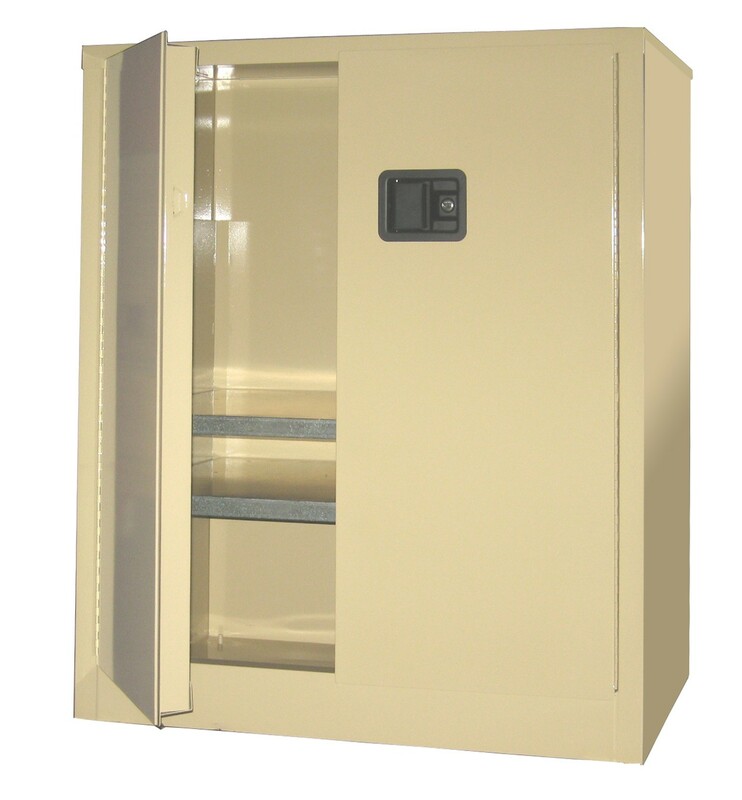 Each 18-guage galvanized steel shelf can hold up to 500 lbs and easily adjustable on 5" centers. Flush mounted lockable door handle. 3-Point self-latching doors have double construction. Full length piano hinges and a lockable flush mounted door handle for obstruction free, fingertip operation. Standard colors Beige or Gray (additional colors available). Each shelf is easily adjustable and carries a 500 lb. load capacity. Double wall cabinet doors feature full length piano hinges and a lockable flush mounted door handle for obstruction free, finger tip operation. 3-point self-latching doors add even more convenient security. Shipped fully assembled and ready to use.